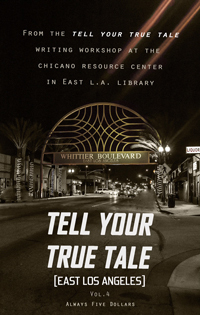 Tell Your True Tale at Your Library is a project of LA County Library. 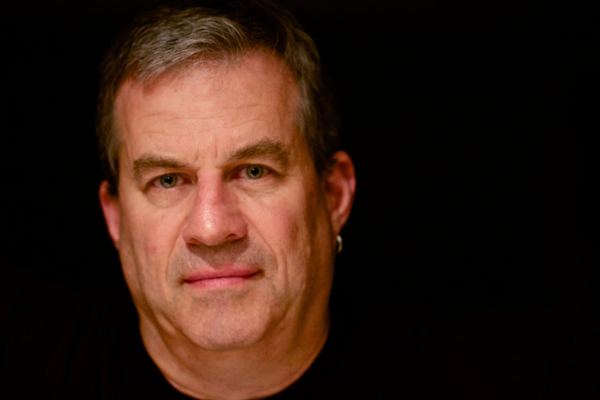 Writer’s Workshops are led by author/journalist Sam Quinones. Mr. Quinones is journalist and the author of three acclaimed nonfiction books about Mexico and Mexican immigration. He is also a writing coach. 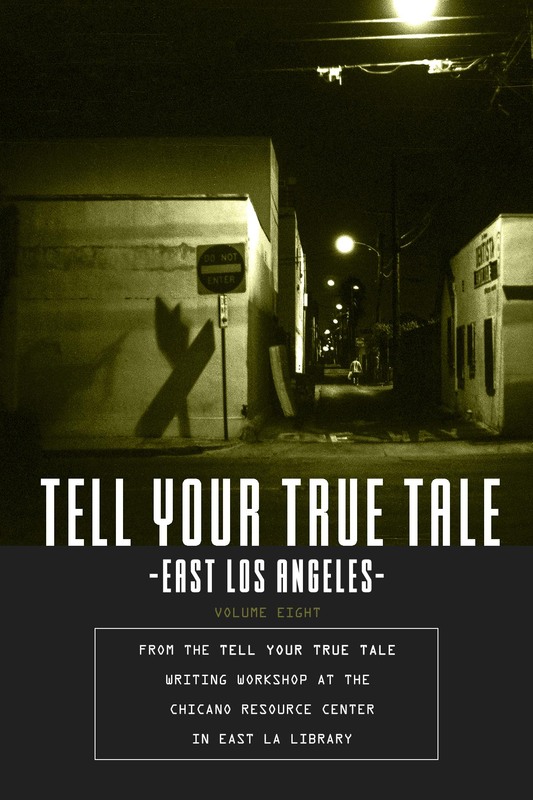 Through his Tell Your True Tale writing workshops, he helps new writers find and tell the stories of their own lives or of those closest to them. 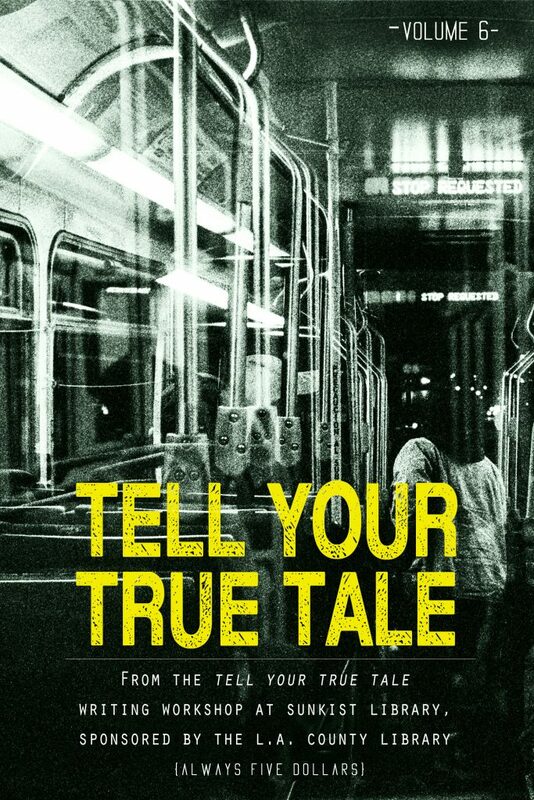 Everybody has a story to tell. 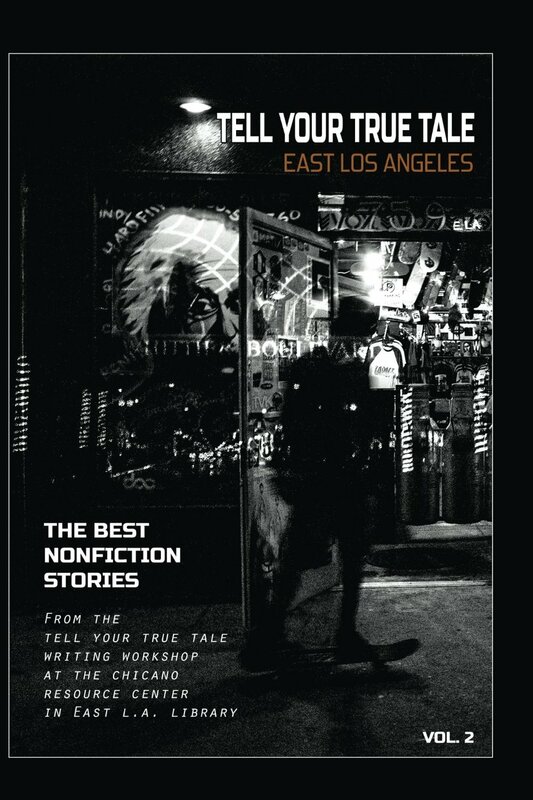 Bring your true stories to life by joining our Tell Your True Tale nonfiction writing workshop led by long-time journalist and author Sam Quinones. 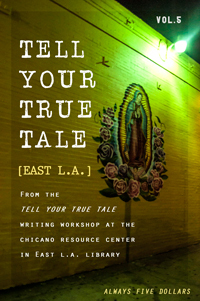 The Tell Your True Tale workshops are intended to be fun and energizing, exciting and revelatory. The workshops are aimed at demystifying writing and unlocking the stories that you have within and that are waiting to burst out. Previous writing experience is not a criterion for participation. Eagerness and willingness to participate and do the work is. The commitment includes attending Saturday workshops, discussing ideas with Mr. Quinones and the other writers. It also includes a few short selected readings that we discuss in the workshop. Of course, the workshop also involves writing during the week. That writing, and Mr. Quinones’ editing of it, is crucial. Learning to write involves writing, then rewriting. That is fundamental to the TYTT approach. Peggy Adams (Finding Jerry, Smoke Screen) retired after working 35 years in the government Civil Service System where she held a variety of positions. Currently, her life includes daily walking in parks and on the beach, reading and writing. Among her favorite authors are Truman Capote, Zora Neale Hurston and Eudora Welty. She was born and raised in Alabama and has worked and lived in Washington, D.C., Florida and California. Sarah Alvarado (The 10, Tia, Alice, Sonias) is a San Gabriel Valley native who enjoys reading, writing, and embracing the obscure. Sylvia Castañeda (Bringing Luz, Pórtate Bien, Susana) is a Chicana from Boyle Heights. She is an elementary school teacher. Her interests include genealogy, family history, photography, social justice issues and dancing to cumbias & sones jarochos. She lives in the San Gabriel Valley with her husband, two children and three dogs. Manuel Chaidez (When Manny Met Angie) was born in Los Angeles and a year later he along with his family moved back to Mexico. Ten years later, his family returned to Los Angeles and he has lived there ever since. He attended Schurr High School and graduated from Westwood College. He works at Dependables as a forklift driver. 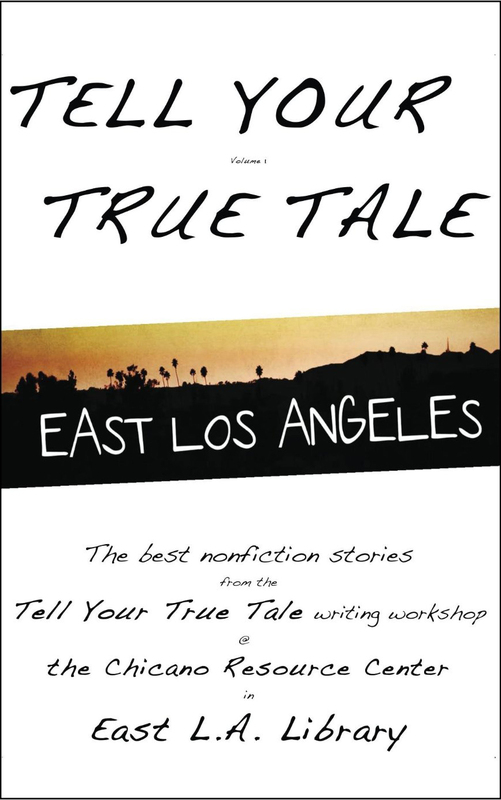 A husband and dad who enjoys writing, he now enjoys it even more after finding the TTYT workshop flyer at the East L.A. public library. Milton Alex Chi (Miracle Man) was born in El Salvador, the son of a Salvadoran mother and Chinese-immigrant father, who together ran a store and a restaurant. His family left El Salvador during that country’s civil war and he has resided in the Los Angeles area for more than 40 years. He has always wanted to write and he feels grateful and honored to be able to share his life tale in this book. Jasmine De Haro (“Okay Dad”, Savannah St.) grew up in Boyle Heights. She received her Master’s in Leadership and Organizational studies at Azusa Pacific University in 2014. Her interests include writing, reading inspiring books or quotes, karaoke, watching movies, and making new memories with her husband, family and friends. Maria G Fernandez (Blue Serpent, Aureliano and Esther), originally from Michoacan, Mexico, is a small-business owner and mother to an 8-year-old boy and an 11-year-old girl. She lives in West Covina, California and enjoys music and almost all kinds of documentaries. She is planning on attending business school and on continuing writing stories about her family and her community. Susanna (Whitmore) Fránek (Stepping Foot On The Moon, Blinded By The Light, A Piece of Myself, and Daryoush, VJ, Simon and Al, Crazies In The Hood ) is a proud, native poblador descendent of the city of Los Angeles. She is a cultural anthropologist and has her own business conducting consumer research among mostly Latino immigrants and their second generation offspring. Passionate about writing her memoirs, she hopes to eventually publish these short stories in a book. She paints and plays Persian percussion when she isn’t writing. Jacqueline Gonzalez Reyes (Carmen) was born and raised in Koreatown, Los Angeles, as the youngest daughter of Mexican immigrant parents. She obtained her B.A in Sociology, Gender & Diversity from Xavier University, Cincinnati, Ohio. She has over six years of experience in community outreach and education; helping engage communities to improve their economic prospects in California, Ohio, Illinois, Texas, and India. She will use the skills learned from this workshop to share people’s stories inside and outside the classroom. Jessica Gonzalez is a native of Los Angeles. She received her B.A. in English from California State University, Los Angeles. She enjoys musing on the wonders and pains of life and writing about them. She has a passion for learning, the outdoors and yoga. Tené Harris was born in Corpus Christi, Texas. She has worked for 30 years at KCET in Los Angeles. She owns Sweet Beginnings, a bakery. She is also a government analyst with the state of California, and a freelance writer/producer. Felecia Howell (Red Dust and All, My Okasan) is a native of Richmond, VA. She attended the University of DC and UCLA, earning a BA and MFA respectively. She also served as a Peace Corps Volunteer in Liberia, West Africa. Having also traveled to many other foreign lands, one of her joys has been to celebrate cultural diversity. Jian Huang (Made in the U.S.A., Fairy Tales, Manifest Destiny) was born in Shanghai, China and grew up in South Los Angeles. She has worked in the arts and for local nonprofits. Her interests include watching old Hollywood movies and writing about social justice issues that deal with class barriers, the American Dream, and finding a place of belonging. She is a 2016 PEN USA Emerging Voices fellow. Araceli M. Lerma (The Homecoming) was born and raised in East Los Angeles and resides there. A graduate of Garfield High School, and Occidental College, she obtained her law degree from U.C. Berkeley. She has been a lawyer since 1999 and now has her own practice. 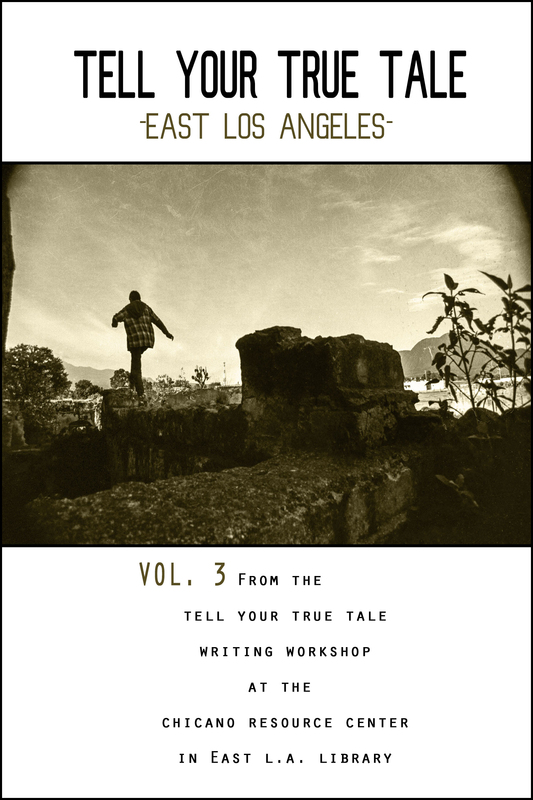 She is grateful for the opportunity to participate in a writer’s workshop at one of her favorite places, the East L.A. library. She looks forward to writing more true tales. Fabiola Manriquez (Warrior In The Fields, Warrior of East L.A., and Echoes from the Past, Heaven Knows) is the daughter of a farmworker and grew up in East L.A., where she still resides. She loves to teach Math and English, and hopes to complete a Master’s this year. Through the TYTT workshop, she discovered a deeper joy and beauty in the formation of storytelling. Joanne Mestaz (On the 194) is a native Angelino. She is second generation Mexican American. She attended UCSD majoring in communications. Joanne lives in Boyle Heights. Her passions are writing, art, caring about our environment and being a parent. She attended this workshop to help her connect with other writers and to help her realize her dream of writing professionally. She found the workshop to be a great opportunity to cultivate creativity with her peers and get invaluable feedback from Sam. Monique Quintero (Heart of Roberto) grew up in Whittier and has been writing all her life. A graduate of UC Irvine with a B.A. in Critical Film Studies, she has worked over 20 years in various areas of the entertainment industry. Since 2013 she has been dealing with a brain tumor and kidney cancer; she found that the writing process not only inspires creativity, it is also therapeutic and healing. She is determined to finish a full-length book project in the near future. Andrew L. Ramirez (Two Trips Home , The Lesson) is an aspiring author and speaker. He is happily married and is the father of three beautiful girls. He was born and raised in Northeast Los Angeles. He recently published The Adventures of Alex and Andi, a children’s book series. He hopes to connect with families around the globe as he shares his true stories about his real family. Rita J. Ray (The Dress, The Rabbit Died) has lived in the Los Angeles area for more than 30 years, since relocating from Toledo, Ohio. She has worked as a journalist, a teacher and a high school administrator. Besides writing, Rita enjoys movies, reading fiction and working out to old-school music. She is the mother of two adult children and likes to spoil her four grandchildren. She writes poetry and short stories and is currently penning her memoir. Diego Rentería (Song for the Living) is a semi-retired mariachi musician who plays the guitar, vihuela, and guitarrón. He was inspired to become a mariachi by his grandfather and was lucky to have taken part of a mariachi education program in junior high. He was born to immigrant parents from Mezcala de los Romero, Jalisco, México, and raised in South Gate, California. Diego is a graduate of Harvard College. He elected to participate in this workshop to expand his writing methods and practice. Trace Richardson (Hard Not To Say Goodbye) is of African American descent. Her interests are in the arts. She lives in the Los Angeles area. Miguel Roura (Un Mitote Mas, Toque de Chicharra) is a writer/actor/retired LAUSD English teacher from Boyle Heights. He has performed at CASA 0101 and The Frida Kahlo Theatres in performances such as: Julius Caesar, Sparkles and The Black Weeping Woman. His A MidNight Buzz was performed at Kahlo’s 2015 Ten Minute Play Festival. He is currently developing his first full length play, A Nail in the Heart, for a fall production. Gladys Ruacho (Not The Way I Once Believed) is a Cuban-American from Pico Rivera. She works for Los Angeles County Department of Mental Health. She enjoys being active, practicing photography, and working with at-risk youth. She lives in Los Angeles with her husband, young son, and their chocolate lab. C.J. 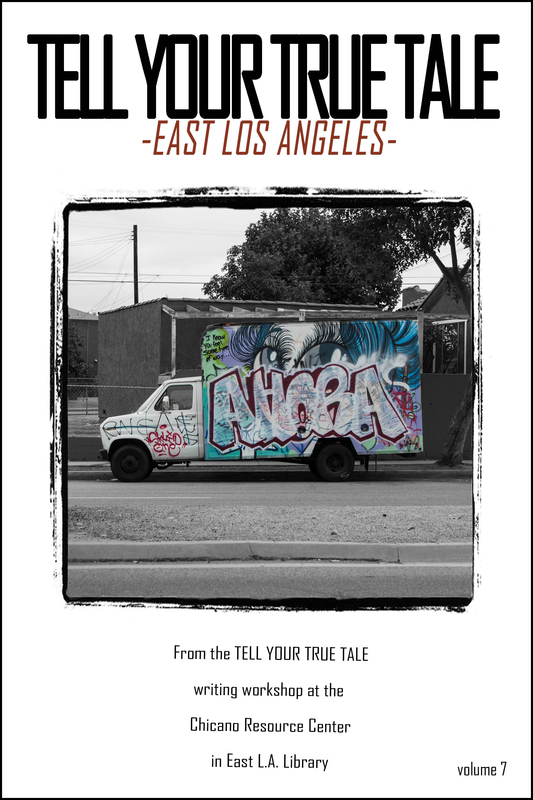 Salgado (The Garage, Strong Arms, Charro of Caratacua, The Toolbox, and 341, Fire) grew up in East Los Angeles. An avid reader, his first job was working for a public library. After serving in the military, he went on to pursue an education and professional career in radiation physics, management, and law. His interests include blogging about the people, issues, places and events in the local community; exploring new places near and afar; pondering novel ideas; watching science fiction and action movies; and writing true tales. Lena Solis-Aguilera (Entrepreneur, Padrino) is a Catholic Chicana middle school teacher from Whittier. Her interests include reading, writing, dancing, Karaoke and sharing her faith. She lives two blocks from where she was raised with her husband, son and two dogs, Karlitos and Sadie. Cristian Vasquez was born in Los Angeles in 1981 and was raised in a Mexican-immigrant family. He grew up in South-Central and Watts until his parents settled in Inglewood in 1993. During the last eight years, Cristian has been a reporter for community newspapers in Inglewood, Hawthorne, and Torrance. Celia Viramontes (Cardboard Box Dreams and Bracero’s Hands, The Tracks Home, Fruits of Labor) was born and raised in East Los Angeles, California, the youngest daughter of Mexican immigrant parents. Her public policy research on immigration and education has been published in numerous academic journals and books. Through writing, she delves into the often untold stories of immigrant communities, their aspirations and struggles. She joined this workshop to build on her writing skills. 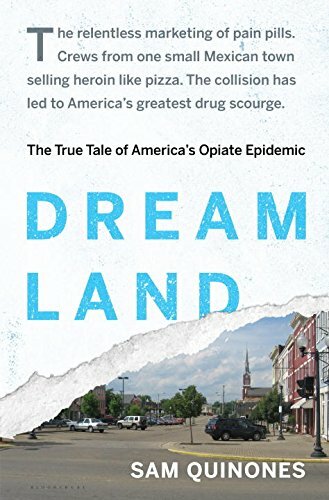 In April, 2015, he publish his third book of narrative nonfiction – Dreamland: The True Tale of America’s Opiate Epidemic through Bloomsbury Press. In March 2016, the book won National Book Critics Circle Award for General Nonfiction.